The band formed by former Opeth drummer Martin Lopez a few years after he left in 2006, Soen have been dogged by comparisons to his former band as well as Tool. This wasn't unfair, as there was an obvious similarity to Maynard James and co in the instrumentation - yet Lotus, the band's fourth album to date, is the closest thing yet to their own sound, and if you're a newcomer to the Swedes it's a great entry point. There'll be nothing particularly new to fans of modern prog metal, from the crunchy metal riffing to the airy, emotive vocals from Joel Ekelöf, to the point where it can be described as a heavier cousin to Riverside's fantastic Wasteland from last year. Yet Lotus is clearly its own beast, a fascinating, deep album that takes multiple listens to get to grips with but rewards them. Each song is special in its own way, a weighty, meaningful five-minute-plus mini epic that seizes your attention in its own way, crafted well with hooks galore without feeling poppy or simplistic. Opener Opponent draws you in with infectious groovy riffs before turning lighter, using keyboards for ambient backing that's almost unnoticeable behind the other instruments and vocals. The band are at their best when not indulging in the metal riffing, Lascivious' vocal-led opening and later proggy melodic sections far more interesting than the sometimes stock riffs that interject. It's not a problem that just Soen have, but quite a few prog metal bands are far better at the prog than the metal. The results are usually passable, but definitely better in moments like the sections in Martyrs which are closer to prog rock than metal, a thick melodic mixture where the guitars fade into the instrumental stew rather than standing out. And the balladic River is one of the album's best moments, the backing strings and acoustic guitar forming a beautiful counterpart to Joel's singing. Still, Soen are good enough to make their use of metal riffs interesting, such as on Covenant's heavier moments or in late-album Opeth-like highlight Rival. And with an album as perfectly produced and mastered as Lotus, even derivative material can still sound amazing. Fortunately, Lotus rarely feels like this, eight-minute finale Lunacy especially showing how the Tool influences have been incorporated and made part of Soen's own style, an almost ambient section contrasting well and ending the album on a melancholic note. 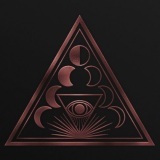 It's certainly the best album I've heard from Soen to date, and whilst the in-your-face influences and pickiness over prog metal riffing may or may not be issues for you, neither were enough to severely harm the album's standing in my eyes. It will last a long time on my playlist, that's for sure.